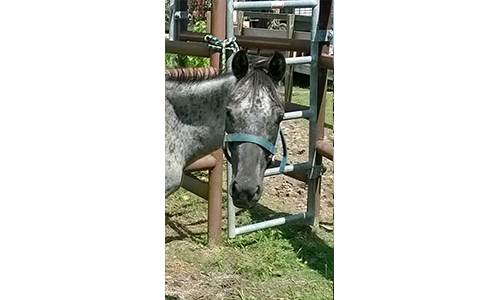 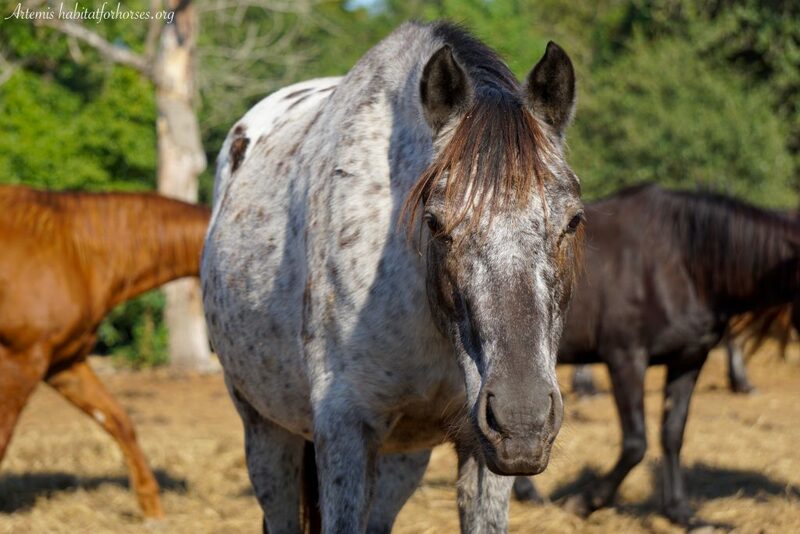 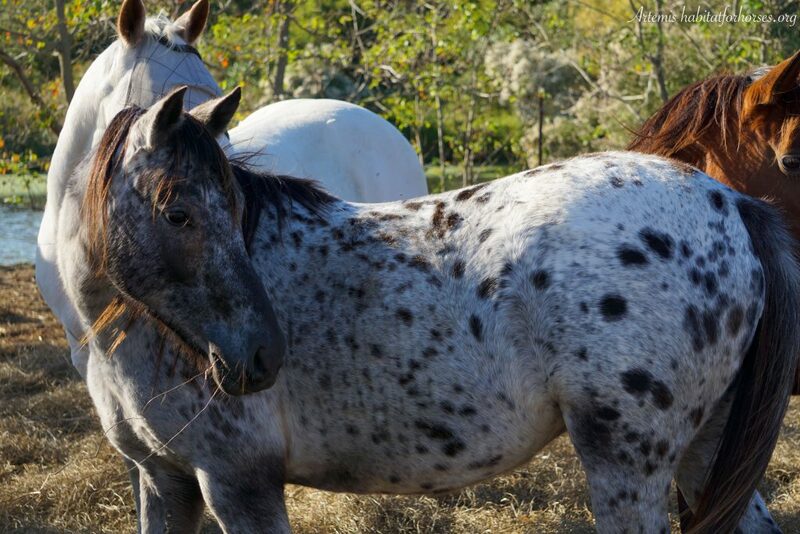 Artemis is a speckled blue roan and white Appaloosa. 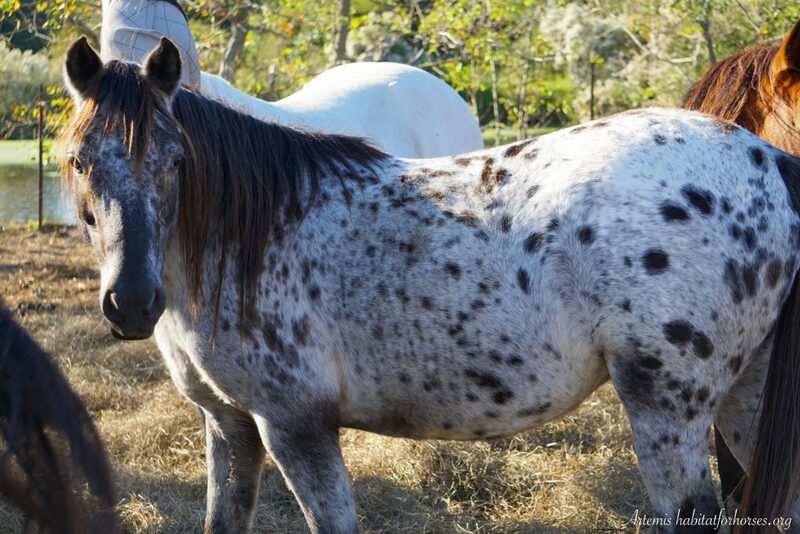 She isn’t an easy catch but responds well to a halter and neck pressure. 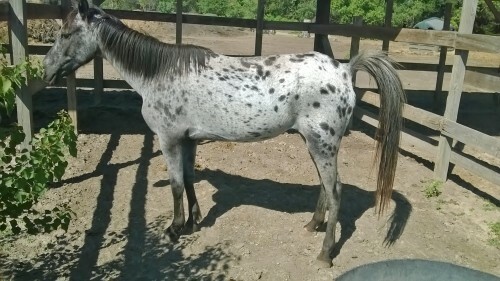 She lunges in both directions. 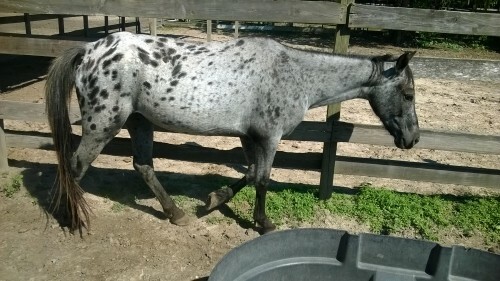 She needs someone to continue working with her and give her a loving home. 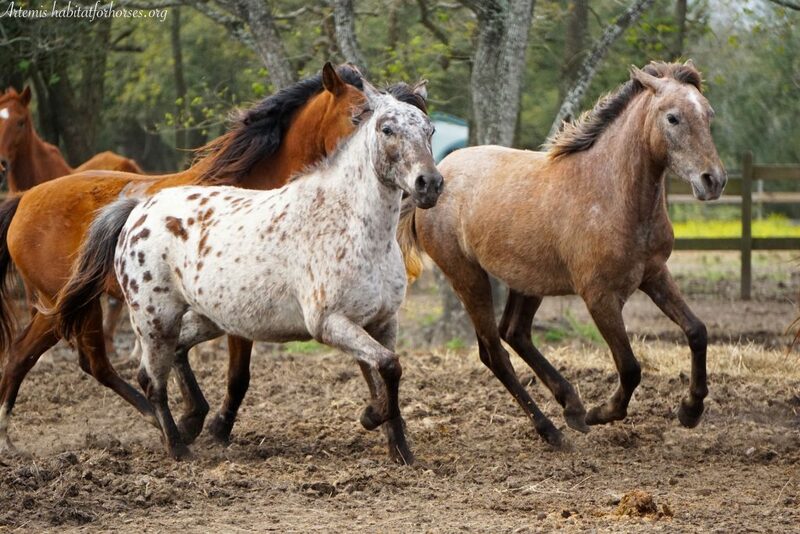 Could that be you?